Baby boys white dupion lace up christening shoes, the perfect compliment to his christening outfit. 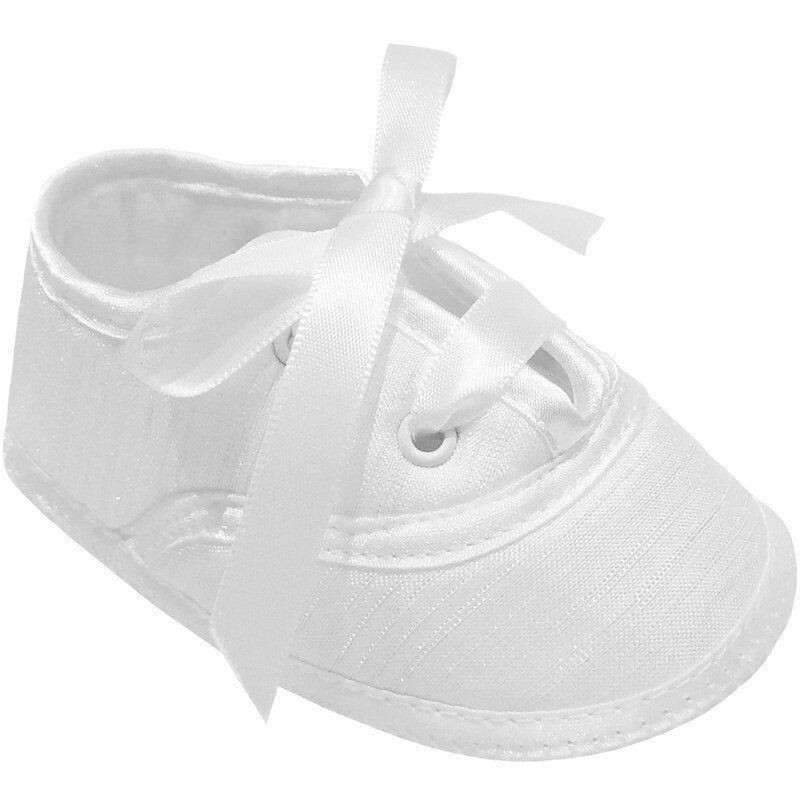 These baby boys soft sole pram shoes are of plain white dupion (silk effect) with satin trims. A ribbon lace up fastening is to the centre. Complete with a plastic presentation box to keep the shoes in perfect condition.